Back in the days when I was teaching full time and the girls were all in school, I used to brag that I could make dinner in 15 minutes. And guess what? - Because I had a few tricks up my sleeve, I actually could! 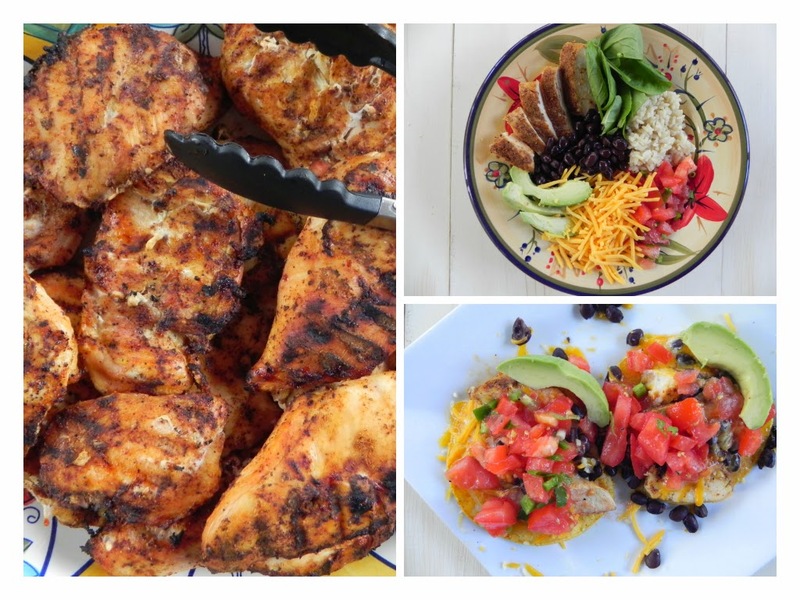 One little strategy involved baking or grilling a large batch of Tex Mex Chicken. The night I actually made the chicken, we would either eat it as it was or add salsa and melted cheese on top. Then I would put the left overs in Zip Lock Freezer bags and freeze them. It was so nice to be able grab some already cooked chicken out of the freezer and use it in soups, salads, and many other ways. One thing the girls really enjoyed was a Tex Mex Bowl. I would heat some of the chicken in the microwave and put out bowls of shredded cheese, salsa, beans, etc. Everyone made their own bowl and surprisingly we found spinach leaves were a tasty addition! A yummy variation was to load everything on top of corn tortillas and either bake at 350 for 5 to 10 minutes or microwave them to melt the cheese. However, I found that how I used the chicken was not as important as my main goal, which was making sure we somehow sat down together and ate as a family. In the 2012 book, The Power of Habit, author Charles Duhigg wrote that families who habitually eat supper together raise children with greater emotional control and more confidence. I really felt that having dinner together grounded us and made our family strong. For a link to an article I wrote about how important sharing a meal together is Click Here. And, although it really doesn't matter whats on the menu when the family is communicating, it might as well be something delicious! For even more ideas on using this Tex Mex Chicken, Click Here. This recipe yields 4 chicken breasts. Double or triple the recipe to make larger batches. Combine the chili powder, cumin, salt, garlic powder, and pepper together. Generously sprinkle the mixture on both sides of the chicken breasts and rub it into the meat. Bake at 350 for 50 to 60 minutes or grill over medium heat, 10 minutes per side. 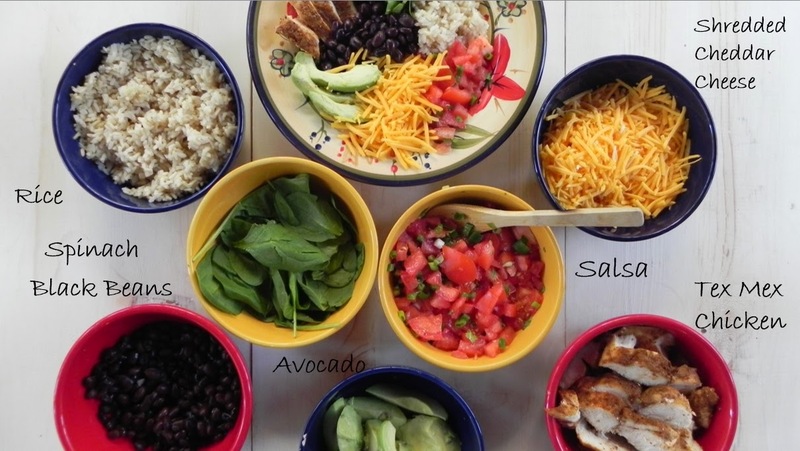 To make the Tex Mex Bowls, slice up the chicken and put out bowls of rice, beans, cheese, salsa, avocado, spinach leaves, etc. - what ever comes to the imagination. Let everyone pile on their preferences. The girls really liked to make their own bowls, their own way! This is a great way to feed a crowd as well - fast, healthy, and delicious. Switch out the rice with a corn tortilla and heat it up to melt the cheese for another option.